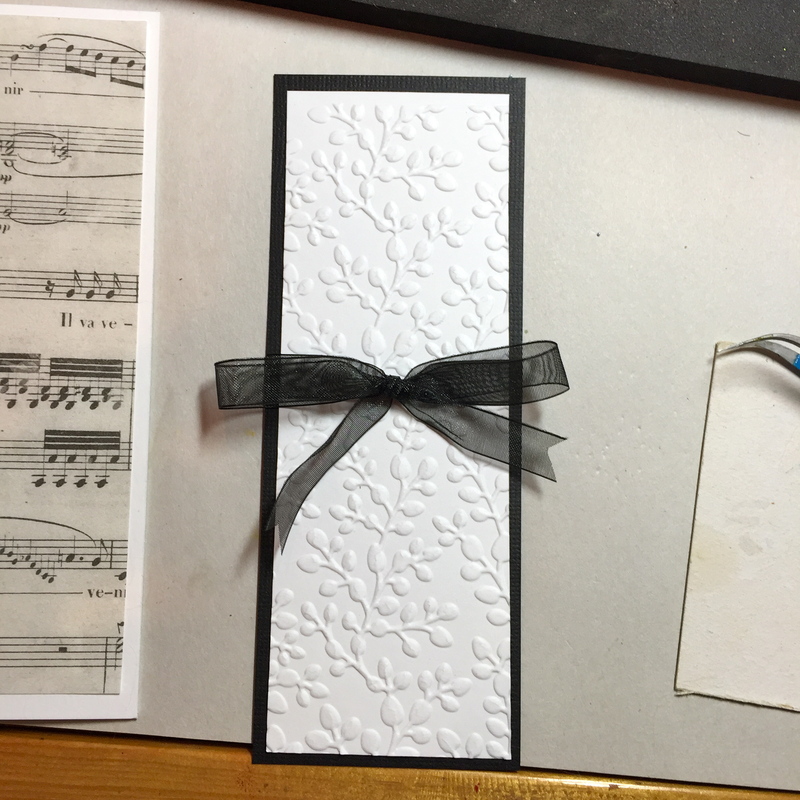 Cut an A6 card (6 1/4” x 4 1/2”) in white, 100lb card stock, a 6”x 4 1/4” rectangle in Bazzill’s Antique Music Sheet (you could also stamp music on plain paper), a rectangle 2 1/4” x 6” in black, 80lb card stock, and a rectangle 2” x 5 3/4” in white, 85lb Soft Finish cardstock. Emboss the white rectangle with Elizabeth Craft Designs – Spring Leaves (E118) embossing folder. Add black ribbon around the embossed rectangle. 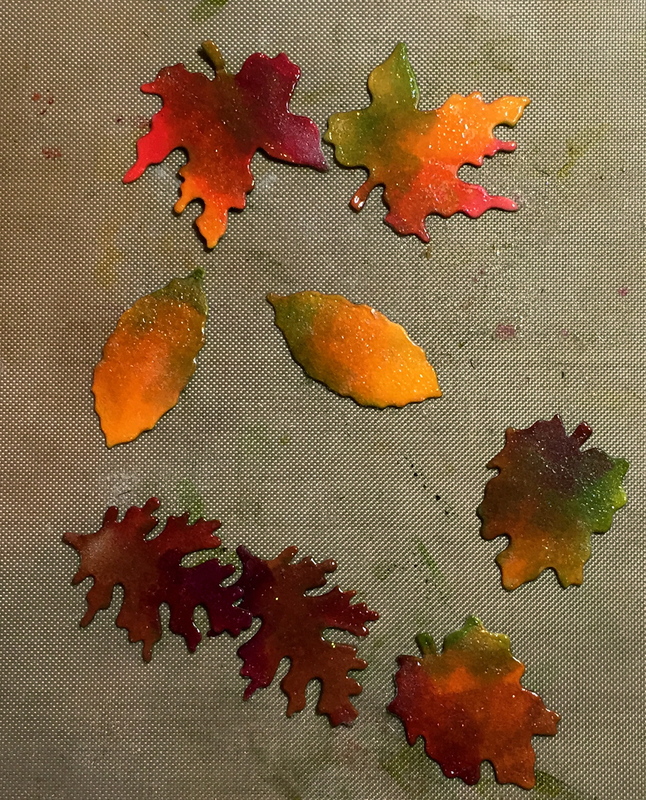 Allow the leaves to dry, which takes about 5 minutes. 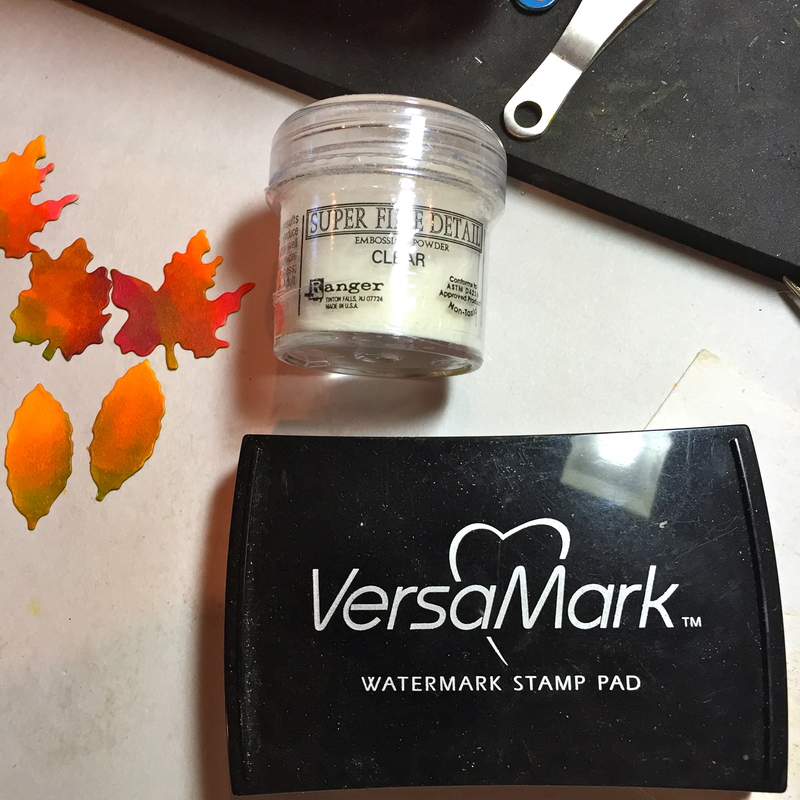 Then apply VersaMark to the colored side and apply Ranger’s Super Fine/Clear embossing powder. Set with a craft dryer. 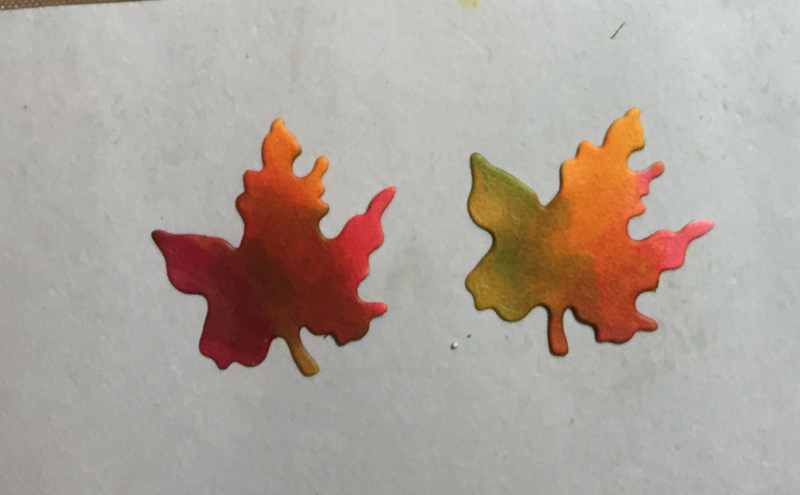 Place leaves right-side-down, on the Leaf Pad. Add a stem line using the Leaf Tool. 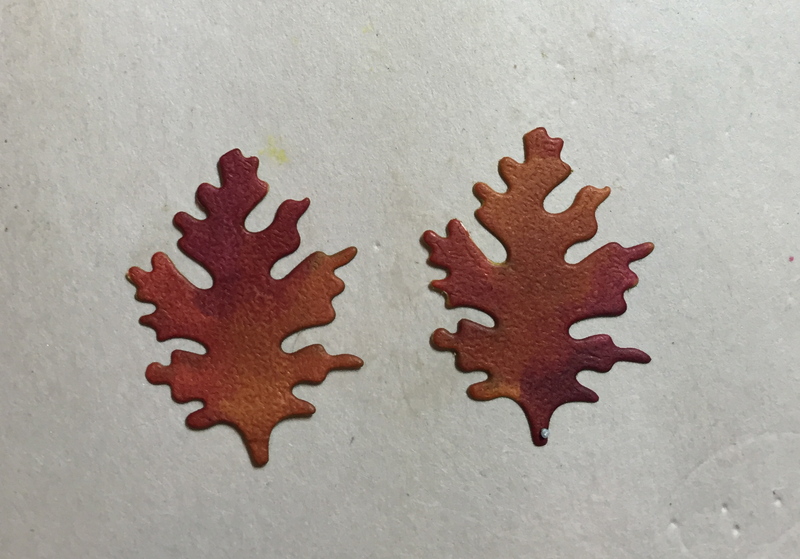 Turn the leaf over and add vein lines. 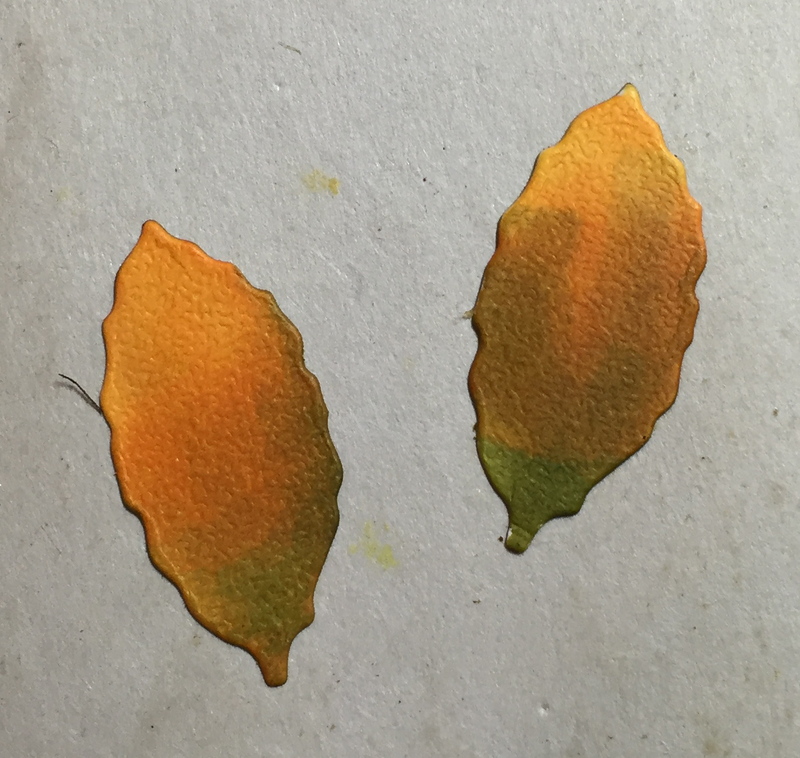 Bend the leaf with the right-side-up and apply PanPastels/Bright Yellow Green down the stem line to accentuate it. Pinch the stem end and bend down the tip end. Adhere leaves on either side of the ribbon. Really lovely card, and wonderful words of wisdom – thank you Susan! I just love that your voice comes through on your blog posting. I am grateful, feel blessed, to have found this site! Thank you for your wisdom (and the tutorials, too!). Thank you so much for stopping by–it’s like a best friend coming for tea and cookies! Susan, I love this card. I just found you and now follow your blog. It always inspires me. I own your Panpastels Kit 1 and the Tools Set. What a difference those two products have made in my floral creations. Thank you so much for sharing your incredible talent. Thank you so much. When I discovered PanPastels in 2006, my flowers became even more detailed. I’m glad you love them too! 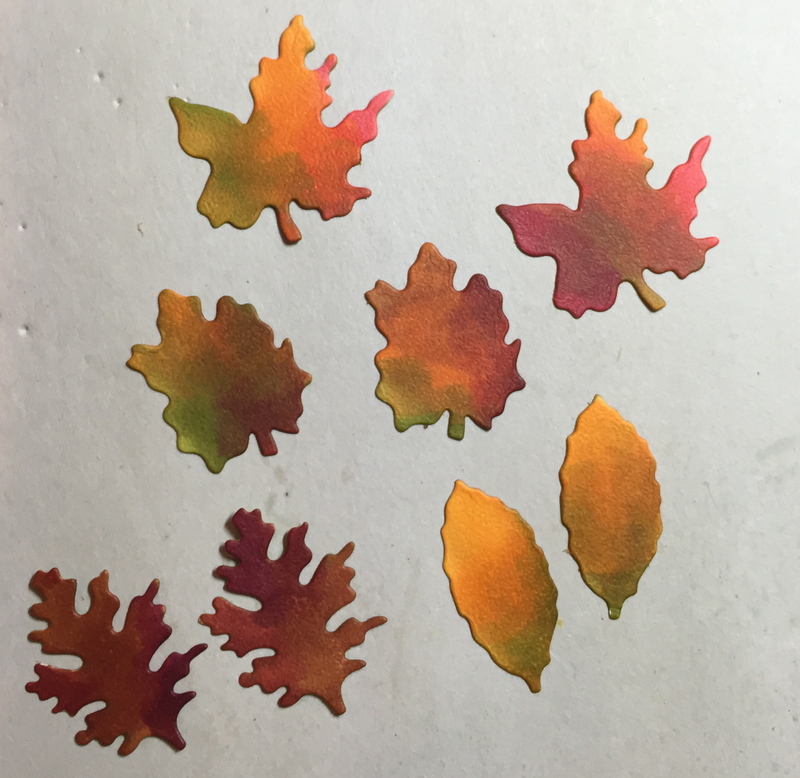 WOW – your leaves are STUNNING!!! 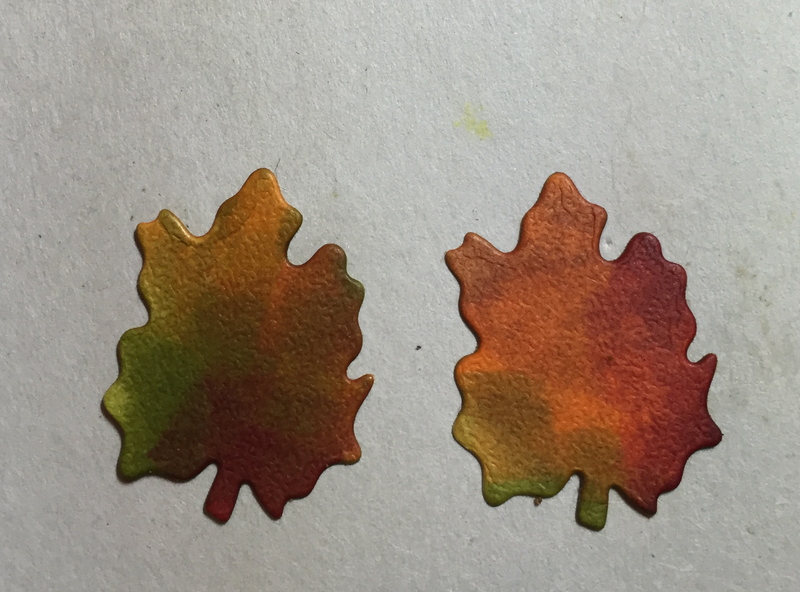 … going to have a look around to find out more about the leaf pad & tools now, I have a lot to learn about adding texture & dimension. There’s YouTube videos on the leaves! Tracy, You really should check out the YouTube videos that Susan refers to. I did and cannot tell you how much you will learn. A little practice and your projects will also be stunning. Susan’s tool kit really makes the difference especially for adding dimension and texture. Well worth the price! I believe you just cannot get the same look without her tools. The ladybug is part of the Bugs & Butterfly die set and I did a video on YouTube how I create it! Beautiful card! The leaves look so real. I love the card stock you used to make them. The texture is perfect. 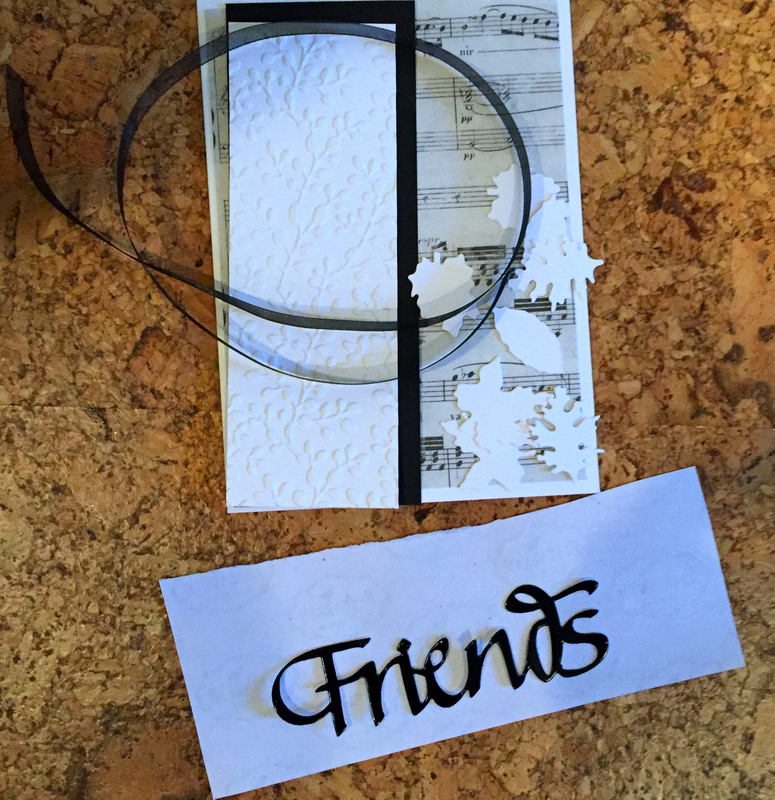 The matted embossed panel against the Sheet Music paper is perfect for this card. I love it. I used Elizabeth Craft Designs new Soft-finish card stock, I love it! What a beautiful card–love the colors of the leaves!